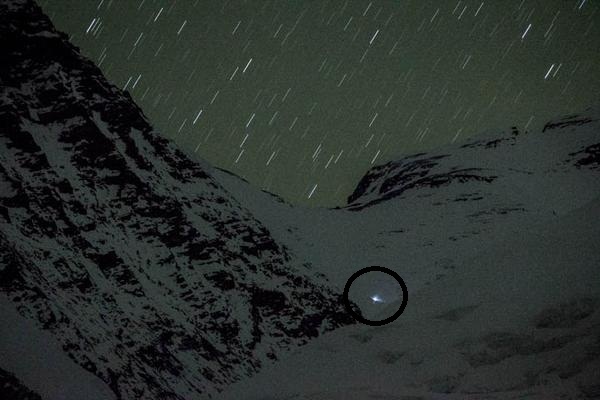 Nobukazu Kuriki retreated from 8150 meters on Everest due to strong wind and deep snow. This was his second attempt on Everest this year, his first summit push was also thwarted due to deep snow on Sep 26 and he retreated from 7900 meters. It was later believed that he will not attempt again, but he rested in base camp and started 2nd summit push on Oct 01, Kuriki reached camp 4 7600 meters on Oct 07 and started summit push just before midnight. According to base camp, it took him hours to cross south col section due to deep snow, and wind was too strong, not ideal for the summit day. Nobukazu Kuriki seen from basecamp, climbing towards south col.
Kuriki attempted Everest solo from camp 2, and he was climbing without Oxygen and only one finger. Kuriki has attempted Everest several times without O2, but could not reach the summit. He lost his nine fingers to frost bite in 2012, when he got stuck in a storm and had to spend a night in snow cave. Since then Kuriki is chasing this wild dream with one finger. He is the only climber who received permit to climb Everest in autumn 2015, after the earthquake which killed 18 climbers on Everest in April. 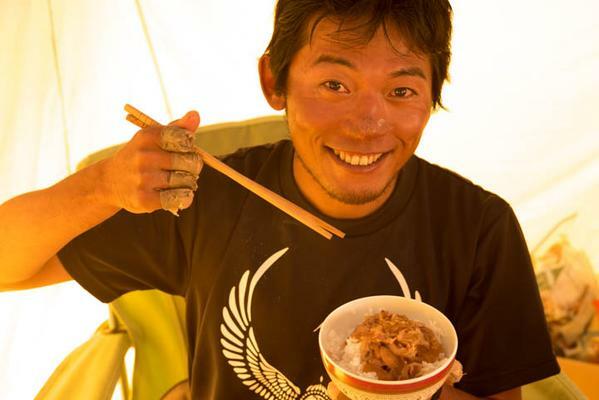 Nobukazu Kuriki in base camp. Mount Everest will stay unclimbed this year, last time Everest stayed unclimbed whole year was in 1974.